Dreams can motivate you and your team! "Student motivation is a critical part of the education process. Please check this out for some key teaching strategies." Improve your business with teambuilding events. Customer service is vital to business. Use WII video activities, laser tag, fitness boot camp, conduct mystery shopper reports, develop unique customer service workshops, hold motivations rallies with professional speakers, and conduct your in-house seminars to improve your customer recovery procedures. Establish an employee of the month with his or her own special parking space. Daily inspiration can be the spark to start anyone's day in the right direction. Finish Strong Motivational quotes is the newest book from Simple Truths and completes author Dan Green's 'hat trick" of motivational titles to encourage all to always Finish Strong. I have provided sample content and the product link below for you to be the inspirational spark for others! Finish Strong Motivational Quotes ~ Finish Strong! Those are two words that can create a powerful attitude for achievement in life, sports and business. Now, a compilation of quotes to inspire all to always, Finish Strong! Employee empowerment and employee involvement are keys to building powerful and successful business teams. The process of total quality management requires group of employees meeting in quality circles. These quality circles focus on process improvement: Plan Do Check Act. Dr. Deming said that management was 85 % of the problem, and that employee’s need more input to build better quality products. Total quality management requires employees teams to problem solve. Set up a Movie team to Show: Remember the Titans, Miracle or Apollo 13. Ask your co-workers if they know of an inspirational movie to show for teambuilding basics. You could also surf You-tube and find specific topics you would like to review. You could also let each team to make there own movies. 70 hours of team training Pump them Up! Your team is floundering, morale is low - you're not sure what the problem is, but you know you need to do something fast. How do you pull together a team-building workshop that is guaranteed to work? You need Pump Them Up! - a collection of 35 reproducible team-building workshops conveniently packaged in a 3-ring binder. In as little as two hours you can provide teams with on-target, hands-on training that will re-energize, re-focus, and re-commit team members. Begin with one of the four reproducible assessments - great for pinpointing your teams' developmental needs. Then select from a collection of 35 fresh, innovative workshop activities that get participants thinking and doing. The binder also includes 7 additional inventories to enhance the workshop activities. All the materials are fully reproducible! Pump Them Up! provides 70 hours of team training! Make it happen today! 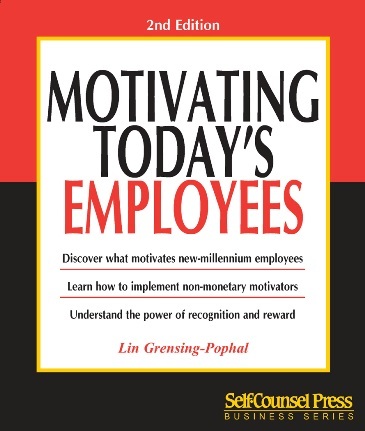 Motivate your employees with incentive promotions. Incentives works best when they are tied with job performance. Bonus check always works well. You could also provide travel opportunities, cruises, casinos trips, and retreats to resorts. The power of teams. Teams can achieve extraordinary results. When a team learns and applies good team building techniques, ideas and resources, it creates energy and can accomplish so much more than any one individual. Find more team buidling techniques. We help teams achieve extraordinary results. We created this site for anyone who leads, belongs to, or facilitates a team. We have worked with more than 400 teams and have learned over 20 years, what works and what doesn't work. We can help you avoid many of the mine fields that often derail teams. We sell team building products and services that focus on every aspect of team life from launching a team to sustaining a team for the long haul. A team leader can increase his or her motivation by keeping a journal. My friend, Shelia, can help help you with this: find out more at The Joy Stream! You have several options here. Locate you local community college or university; ask their continue education office what courses they have available. You can search the Internet for consultants and workshops available. Free personal growth and personal developement resources, with a focus on helping you find success and meaning in your life. Areas of interest include self-confidence, stress relief, relationship, wealth, meditation, happiness etc..
Do you still need some more motivation ideas? They check out this link now: Dedicated to motivating people beyond their expectations. The main goal of this site is to help you grow towards a successful life. This includes be able to have a loving relationship with yourself and a network of loving support with others, enjoy a better health, perform at a higher level, enjoy a stable financial abundance as you grow and helping others grow too towards success. At 211 degrees, water is hot. At 212 degrees, it boils. And with boiling water comes steam. And steam can power a locomotive. So many times it is that one extra degree of effort in business and in life that separates the good from the great. 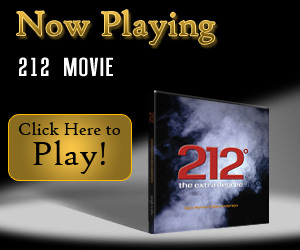 The beauty of 212° is not only the simplicity but also the many applications. You can apply the concept to 212° service, 212° attitude, 212° leadership, 212° kindness, 212° commitment, 212° focus, 212° perseverance and the list goes on. Whatever your passion or profession, how true it is! We sometimes underestimate the power of encouragement. So many times one act of kindness, or one word of encouragement, can change a life forever. 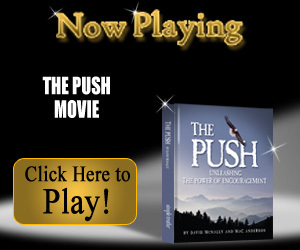 See sample content below as well as your affiliate movie link to share the movie Even Eagles Need A Push to inspire others today. Encouragement can come in the form of a kind word, deed, or written note that has the power to change a life forever. Enjoy watching the movie, Even Eagles Need A Push, for a message of encouragement that can push your life from ordinary to extraordinary. Many of us can recall a teacher who inspired us to make the most of our strengths and encouraged us to overcome our weaknesses. Paula Fox has written a beautiful book that captures the essence of "The Heart of a Teacher." There are inspirational stories about teachers who made a difference, Paula's beautiful original poems, quotes and a special section with “100 Ways to Encourage a Child.” This is a gift that any teacher will treasure forever. 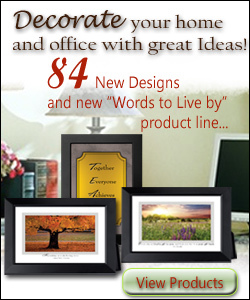 See your affiliate link below and sample content. Many of us can recall a teacher who inspired us to make the most of our strengths and encouraged us to overcome our weaknesses. As the end of the school year rushes closer, remember to thank the teachers and mentors in your life for all of their efforts. 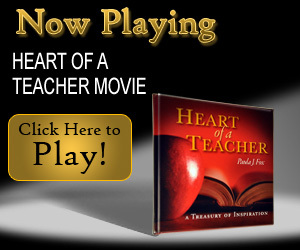 Enjoy this 3 minute movie that captures the essence of The Heart of a Teacher. Show your appreciation to teachers and mentors by sharing this heartfelt movie!